Buying a new or used vehicle is made easier with auto financing. You don't have to save as much to drive a reliable vehicle when you finance a car, and you spend relatively little money to drive off the lot. Because financing a car is one method by which a car dealer can create profits, many consumers are afraid of the process. However, with just a little advanced research and understanding, you can walk away with the auto financing deal of your dreams. Car financing options often allow for lower monthly payments during a lease. Lease agreements require less money down. At the end of a lease agreement, you owe nothing and can transition into another new car. If you drive roughly 12,000 miles a year or less, tend to keep cars for five years or less and prefer driving new cars, leasing can't be beaten. If you'd prefer to keep your car for as long as it takes for it to stop running, if you're very hard on your auto's interior or drive much more than the estimated monthly total miles, consider a traditional car purchase. Thankfully, car financing is available for either decision. Stay focused on purchase price. Lenders will often tweak car financing payment terms in order to make a car seem more affordable. However, lower payments stretched out over a longer period of time can add thousands to what you actually pay for the car. Car financing negotiations can be long and frustrating, so be mindful of the most important numbers at play. Apply for car financing before you buy. Credit unions have significantly lower auto financing rates than you'll find through a dealership. Walking in with established car financing can set you up for immediate savings. The dealership will work even harder to find you a better interest rate with one of their car financing partners. Opt to buy extras with cash or from a third-party. Additional features and services can significantly increase the cost of an item as well as the financing used to pay for it. Don't discuss the auto financing lease agreements available until after you've settled on the price of your new car and the value of your trade-in. Leasing isn't as good of a deal for your salesperson or the dealership. Your monthly car financing payments are set according to the price of the car you are buying, so a salesperson will try to keep that number as high as possible. Go in knowing the residual value of your car. This is how much you expect it to be worth at the end of your lease. A higher residual value may lower your payments, but too high of one will make it unreasonably difficult to change your car financing terms or get out of your deal. Fight for the lowest money factor possible. This is the number that determines the interest of your car financing agreement. Buying a car with auto financing is actually getting easier. It used to be next-to-impossible for subpar borrowers to access reasonable car financing terms. 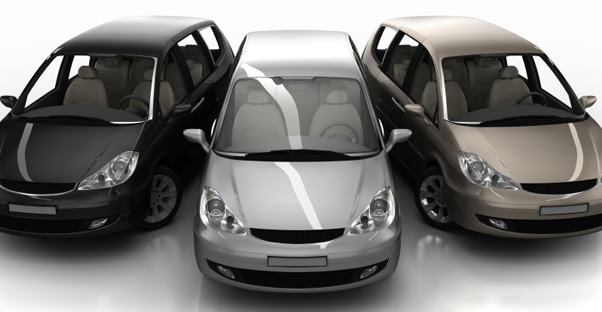 Today, several car financing companies target people with bad payment histories. These lenders have higher interest rates and allow for minuscule down payments. When these buyers run into payment problems, car financing companies have the ability to offer a wider range of solutions. It's not rare to find auto financing rates in the double digits, even nearing 50 percent of the price of the loan. Dealerships have been losing sales to "Buy Here, Pay Here Lots" that charge ten times or more per vehicle than the real value. Their car financing terms also make repossession easy. The only way you can escape a bad car deal is by ensuring you can afford your monthly payments and knowing that you cannot get a better deal elsewhere. To do so, look at models ahead of time, consider the additional payment of increases in car insurance and then look for more than one car financing company. Even buyers with bad credit will find they have several car financing options in today's auto market.